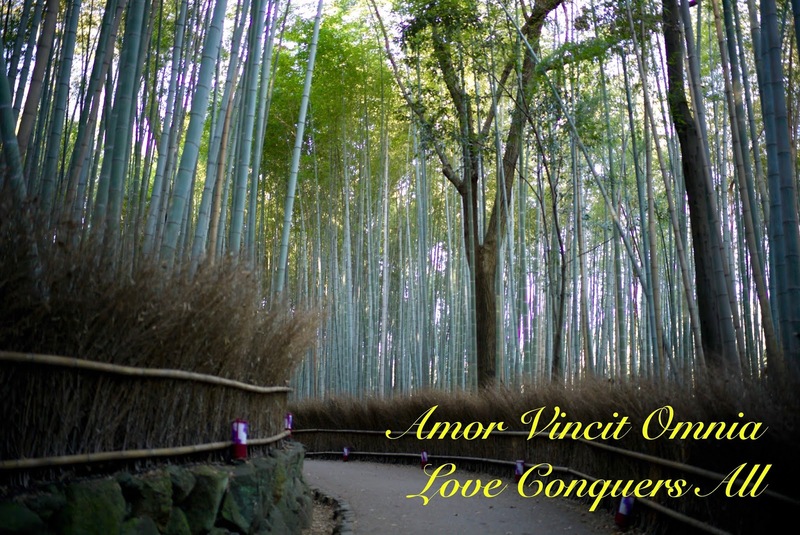 Amor Vincit Omnia (in Latin) means "Love Conquers All". In my understanding, love overcomes all obstacles, and if you really love someone then you will try to do everything to protect your love one. I have heard this phrase since when I was reading my degree in UK many years ago, but at that time, I didn't believe it. I've been in love with someone before, let's say one too many but all of those never made me believed that Love can conquer all. Up until recently, that I just understood what Love really is... It is difficult to explain, and if it doesn't happen to you yourself then you will not get it. I rather not go into details, but please believe that Love (can) Conquers All - Amor Vincit Omnia.